© Design Design. All rights reserved. 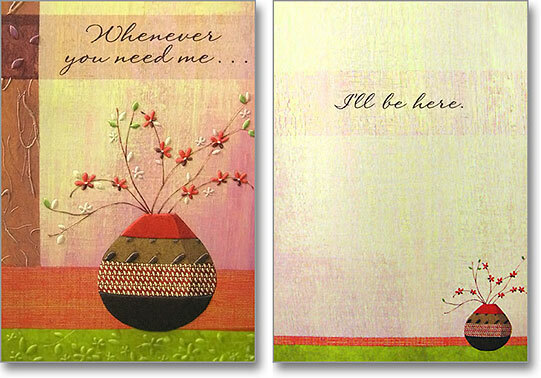 Founded by former stockbroker Don Kallil in 1987, Design Design offers card lines with broad appeal. Mr. Kallil says, "The real attraction of the greeting card industry is the creative aspect of it—working with artists, copywriters, and printers." Twenty-five artists work collaboratively in the company's offices in downtown Grand Rapids, MI, to create distinctive but approachable designs. Environment: Design Design's primary supplier for uncoated paper, Mohawk Paper, is certified by the Forest Stewardship Council (FSC), ensuring best sustainability practices at all stages of production. Mohawk is also Green-e certified for their use of wind-generated electricity. Cards are printed with EcoSmart-certified inks.